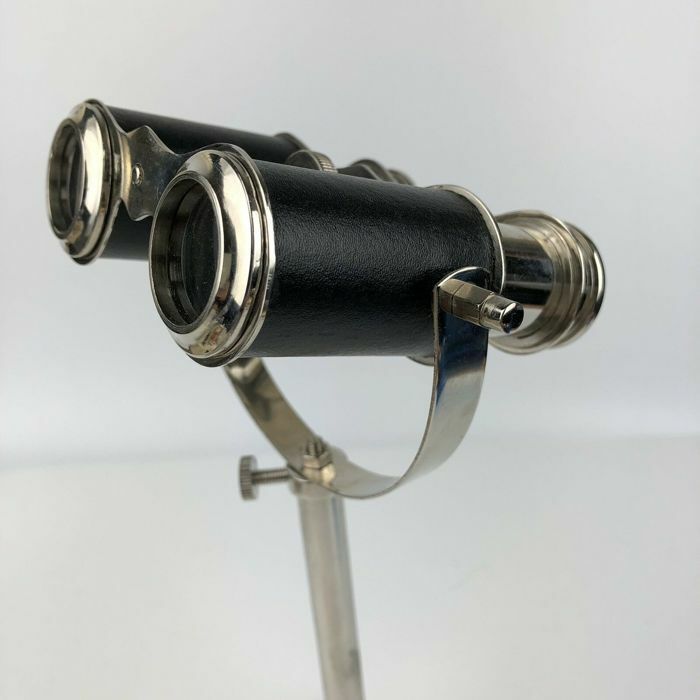 Desktop Nautical Binoculars & Tripod. 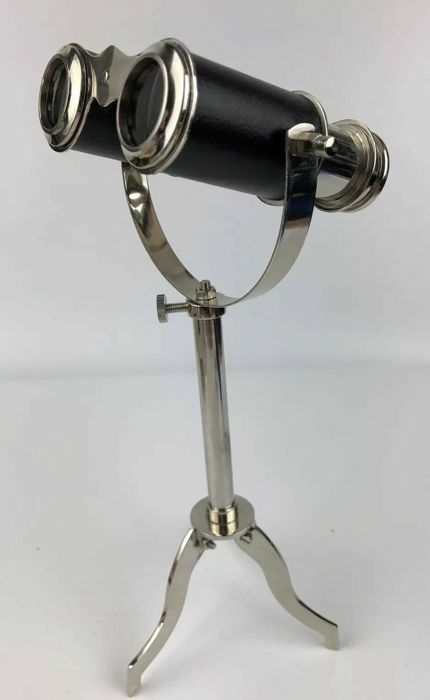 The Binoculars features brass metal with a chrome finish and comes with an adjustable metal desktop tripod. 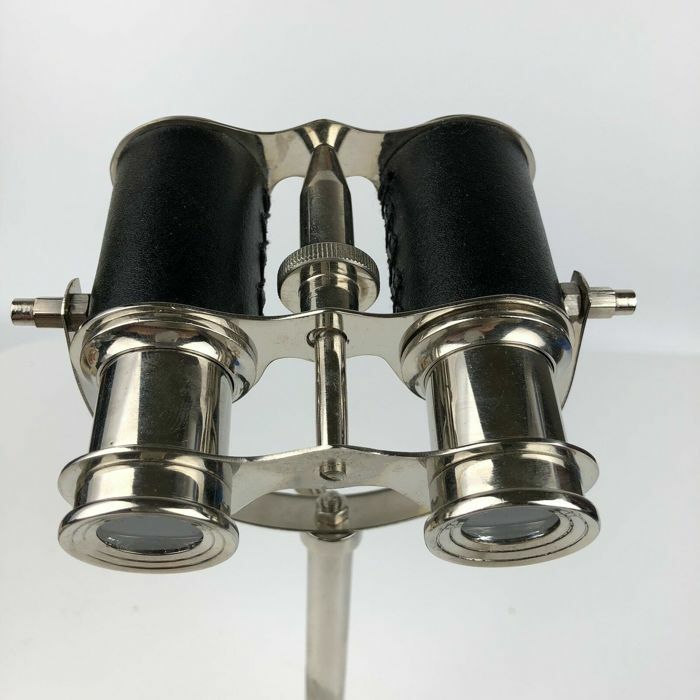 Ideal for magnifying and enhancing the view of far away objects. In excellent condition ready for use or nautical themed interior decoration. The Binoculars and tripod will be well packaged for delivery. Delivery via Tracked DHL courier.